Established in the year 2002, Shree Amba Industries is a reputed manufacturer and wholesaler of Pipe Making Machine. 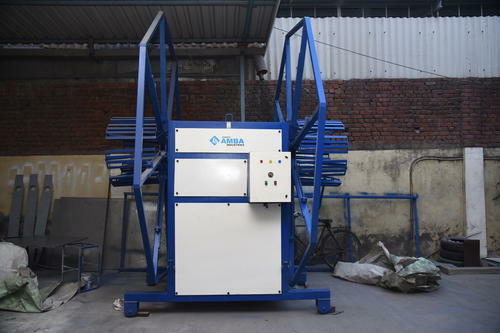 Our unparalleled array of products includes Pipe Machine, Extruder Machine, and Vacuum Tank. Our plants are appreciated for their optimum performance, less maintenance, and longer functional life. These products are very efficient in removing harmful substances from water. We manufacture these products as per the client's exact specifications making use of a ultra-grade raw material. For utmost client satisfaction, we also customize these products as per their requirements. We also provide reliable Mineral Water Plant services. With our unique business policies, dedicated work policies, the culture of maintaining quality & excellence in everything, we have established healthy work relationship with various prestigious business associates which has to lead us to a new height. For the purpose of engineering these purifiers as per the industry set standards, the cutting-edge based progressive technology is used. We have developed state of art infrastructure with latest equipment and technologies. Moreover, we are backed by a team of professionals who are experts in their respective domain. Our team of quality controllers always examines our products on the basis of well-defined parameters of quality so as to assure perfect performance. In addition to this, we have a spacious and large warehousing unit that helps us to keep our offered range under the safe and secure environment.